The SPIRIT Slovenija State Agency has announced the list of leading foreign investors, who made the highest contribution to the development of the Slovenian economy in 2015. They were such companies as Novem Car Interior Design, Rosenbauer, Leykam tiskarna and Glovis Europe. The awards were presented in four categories. The Best Employer award went to the Slovenian company Novem Car Interior Design (Žalec), which is a part of the German Novem Group with over 60 years of experience in the car interiors design. The Novem Car Interior Design Company originates from the Emteks Company, which in 1990–1998 was producing inner car coatings for the German automotive industry. Today the Company is the leading employer in the Savinjska region. The Novem Car Interior Design Company supplies interior trim parts for the BMW 7 Series and the Mercedes C Series. The volume of sales is growing steadily. In 1990, it had 76 employees. Today the staff is more than 700 people. In the next few years, their number will grow up to 110 people thanks to a new investment project for 10 million euros. In 2014, the Company’s turnover was 42 million euros, and in 2015—more than 73 million euros. The Company’s credit rating is A1++. The award for the long-term presence in the region was presented to the Rosenbauer Company from Gornja Radgona (Pomurje), which is a global manufacturer of fire engines and fire protection systems, as well as special vehicles for airports and niche products. 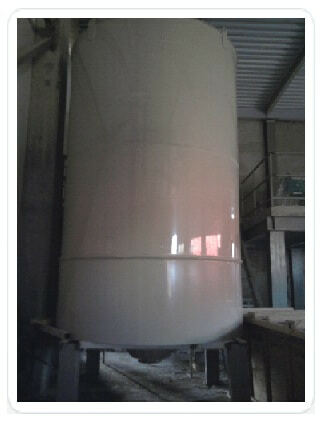 The major share of the whole production relates to the water storing tanks made of polypropylene sheets (plates). The Group cooperates with companies from Europe and the Middle East. The export share amounts to 99.37%. The revenue in 2015 amounted to 8.6 million euros, and the profit is estimated at 1.44 million euros. The added value per employee is about 45,000 euros. The Company’s workforce increased by 11% in 2014/2015. The Company’s credit rating is A1++. The award for Successful Business Outcomes was taken by the Austrian company Leykam tiskarna. The LEYKAM Let’s Print Company is the leading web offset printing service in Austria. It is among the three largest companies in Europe in the field of web offset printing. Its main markets are Austria, Germany, Croatia, Hungary, Slovakia and Switzerland. The annual sales in LEYKAM Let’s Print are about 225.5 million euros. The LEYKAM tiskarna Company was founded in 1994 in Hoče. In 2015, it had 115 employees. Its added value per employee is 90,000 euros. The lion’s share of its revenues (about 75–80%) is export-dependent. The Company’s credit rating is A1++. The German company Glovis Europe GmbH, Podružnica Koper (the Koper branch) received the Logistics Centre (hub) award. The company is the winner of the special award for implementing the governmental program provisions on the promotion of international trade in 2015–2020 and for contributing to the promotion of the image of Slovenia as a logistics centre. It operates in the Luka Koper port, which is a strategic trade point of the Central Europe. The Company was awarded for a significant profit, high added value per employee and dynamic revenue growth. The Glovis’s controlling interest belongs to the South Korea’s multinational Hyundai Corporation. The Slovenian subsidiary of the German company manages the supply chain of Hyundai products from South Korea to the Central Europe. The number of employees of the Glovis Company ranges between 4,000 and 5,000 people, 600–700 of whom work in Europe. The Slovenian subsidiary regularly increases the number of employees—by 16% in 2014/2015. In 2015, Glovis Europe GmbH, Podružnica Koper (the Koper branch) showed 70 million euros of income from sales and 3.5 million euros of operating profit. The Company’s credit rating is A1++.